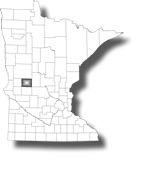 The Douglas County area was first settled in 1858, the same year that Minnesota became a state. In 1862, the settlements were all but abandoned due to Sioux Indian uprisings in the area and all records made were lost. It was many months later before settlers began again moving back to the region. By 1866, treaties had been signed with the Sioux and it was in that year that Douglas County's borders were officiallyset. Douglas County was named for Sen. Stephen A. Douglas who helped get the county established. The first board of commissioners were appointed by the State Legislature in the spring of 1866 and the Commissioners soon appointed the first officers of Douglas County. At the first meeting of the county board, two townships were established - Alexandria Township and Osakis Township. The settlement of Alexandria began when Alexander and William Kinkead built a log cabin and hotel along the shore of Lake Agnes in 1858. 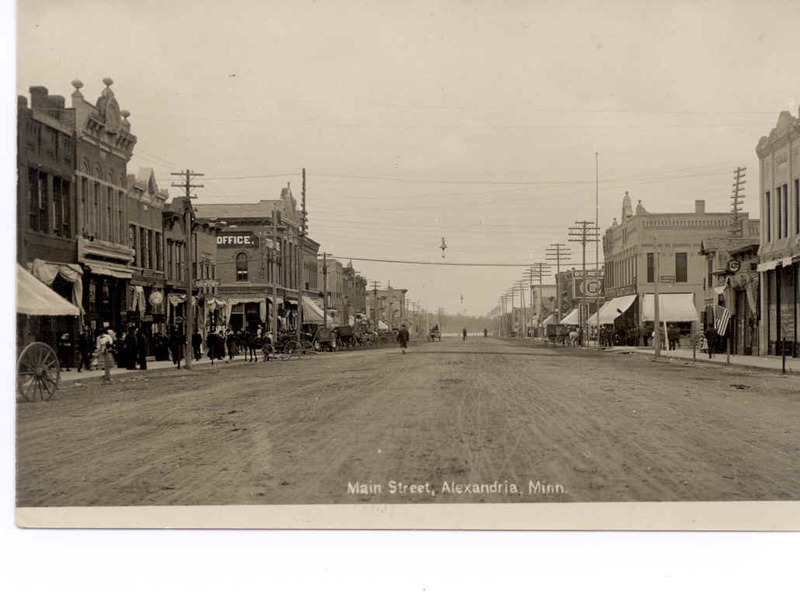 It was the Kinkead brothers who named the area "Alexandria". The land which became the official town site and the county seat was purchased in 1867 by William E. Hicks. The town itself soon expanded as Mr. Hicks built a general store, provided land for the Kinkead Cemetery and donated land for three churches. Mr. Hicks also started the town's first newspaper, built a flour mill and joined forces with Thomas Cowing to erect a saw mill near Lake Latoka. The signing of the Homestead Act in 1862 by President Abraham Lincoln gave people the ability to own property if they lived and worked the land. Under those provisions, the area was quickly settled by European immigrants and Civil War veterans. By 1869, almost all of the county's tillable land was claimed. 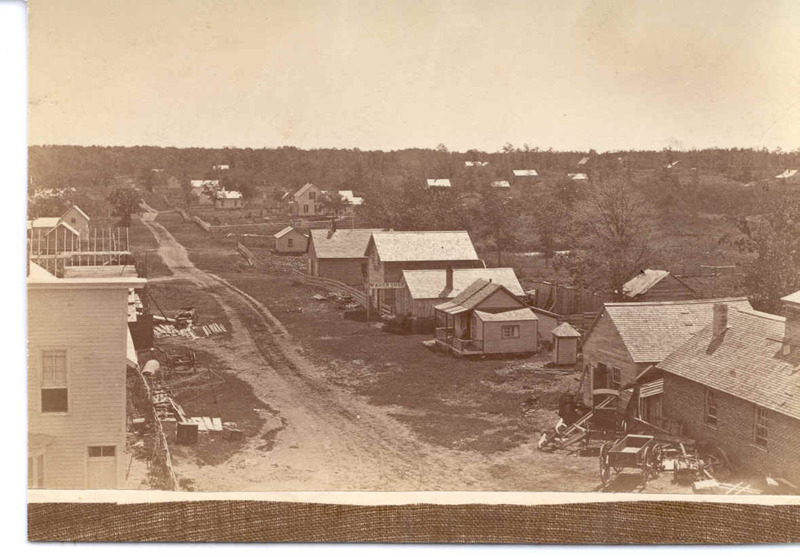 With the increase of citizens in the region, additional towns were soon created to provide goods and services to the settlers in the outlying areas of the county. The official business of the county was held in officer's homes until 1867 when the county commissioners voted to rent a small frame building on Main Street for the county offices. The first county jail was built in 1868. It was a 12 x 14 foot building of oak timbers with ceiling, floors, and walls one half foot thick. In 1875, the widow of William Hicks donated Block 34 of the Original Town Site of Alexandria to the county with the provision that it be used for building a courthouse. In 1876, a two story frame building with five offices on the ground floor was erected. The second floor was used as a courtroom. This building was used for over 20 years until the first courthouse at the present location was built in 1880 with a brick jail on the same lot. The county government went through a reorganization in 1888 and new commissioners were appointed by the State Legislature. This was the last appointed county board as county commissioners have been chosen through the election process since. Douglas County currently occupies three separate facilities in Alexandria to house the county offices. The Douglas County Courthouse stands at the 300 block of 8th Ave W between Douglas and Elm streets. The Douglas County Services Center is across the street to the east and takes two city blocks between 7th Ave and 9th Ave. The Public Works building is located northwest of the courthouse square on 3rd Ave West. Douglas County's oldest claim to fame is the legendary Kensington Runestone. Scholars and scientists have spent numerous hours studying the large flat rock's runic inscriptions. Many are convinced the Runestone is a genuine record of a visit by Viking explorers to the area in the 14th century, more than 100 years before Columbus set sail for America. Others claim is it a fake. The Runestone was discovered in a farmer's field in the late 1800's near the town of Kensington. The 200-pound stone is on display at the Runestone Museum in Alexandria. Directly outside the museum stands the statue "Big Ole". The 28-foot tall, 4-ton statue was originally designed to be displayed near a Kensington Runestone exhibit at the World's Fair in New York in 1965. The theme of the exhibit was "Minnesota, Birthplace of America". After the fair ended, Big Ole was transported to Alexandria and has stood at the north end of Broadway since December of 1965. He holds his spear in his left hand and his shield in his right and greets residents and visitors traveling north down the main street of Alexandria.